To find out, HSH.com took the National Association of Realtors’ 2015 first-quarter data for median-home prices and HSH.com’s 2015 first-quarter average interest rate for 30-year, fixed-rate mortgages to determine how much of your salary it would take to afford the base cost of owning a home — the principal, interest, taxes and insurance — in 27 metro areas. We used standard 28 percent “front-end” debt ratios and a 20 percent down payment subtracted from the NAR’s median-home-price data to arrive at our figures. We’ve incorporated available information on property taxes and homeowner’s insurance costs to more accurately reflect the income needed in a given market. Read more about the methodology and inputs on the final slide of this slideshow. The first quarter was a soft period for the economy which helped mortgage rates fall in all 27 metros. While home prices rose sharply in the majority of metro areas across the country due to high demand and low inventory, there was an even split on our list of the metros that experienced price increases and price declines. On a national scale, with 20 percent down, a buyer would need to earn a salary of $47,253.07 to afford the median-priced home. However, it’s possible to buy a home with less than a 20 percent down payment. Of course, the larger loan amount when financing 90 percent of the property price, plus the need for Private Mortgage Insurance (PMI), raises the income needed considerably. In the national example above, a purchase of a median-priced home with only a 10 percent down payment (and including the cost of PMI) increases the income needed to $54,341.84 – just over $7,000 more. Cleveland retakes the crown as the most affordable metro area on our list. The largest quarterly price decline on our list was more than enough to make Cleveland No. 1 in terms of affordability. Cleveland saw the second-largest salary reduction at $2,617. Pittsburgh lost its top spot as the most-affordable metro area, requiring a salary nearly $1,400 higher than Cleveland. But affordable conditions haven’t gone anywhere in the Steel City. With the lowest mortgage rates on our list, you can still afford the principal, interest, taxes and insurance payments on a median-priced home and make less than $31,000. St. Louis maintains its position at No. 3 on our list. Price and rate declines in the St. Louis metro during the first quarter were middle-of-the –pack as far as our list goes, reducing the required salary by a rather stable figure of $716. Again, the Cincinnati metro and the St. Louis metro remain near mirror images of one another. Nearly every aspect of these two metros is identical: mortgage rates, rate changes, home prices, quarterly and yearly price changes, monthly payment, required salary, and salary changes. Detroit-area home buyers and homeowners both have to be happy with what’s happening to home prices in the Motor City metro. In an area that suffered so dramatically from the Great Recession, home prices continue to show short-term stability and long-term growth. Atlanta is the first metro so far on our list to have experienced both quarterly and yearly price increases. Balancing out the modest quarterly increase was a rate decline of one-quarter percent, reducing the required salary by $222, the lowest salary decline so far. It may seem odd that Tampa had both a rate and price decline during the first quarter of 2015 but still saw the required salary increase. The reason is that insurance costs were higher in Tampa. Homebuyers must remember that principal and interest payments aren’t the only monthly costs they will incur — tax and insurance costs also play a role in home affordability. Phoenix is the first metro area on this list to crack the $200,000-home-price mark, and the second metro so far to experience both quarterly and yearly home-price growth. That price growth was just strong enough to cancel out the mortgage-rate declines, edging the required salary higher by $72. The Orlando metro went from a near-$500 salary decline in the fourth quarter of 2014 to an increase of over $2,100 — the second-highest salary increase on our list – in the first quarter. Affordability took a step back in this metro area during the first three months of 2015. San Antonio continues to be the most affordable Texas metro on our list. The rate and price declines of 0.16 percent and 0.43 percent, respectively, helped increase affordability to the tune of $356 during the first quarter. For the first time in a long time, the Minneapolis was not the first metro to crack the $200,000-home-price mark; Phoenix beat them to the punch. While year-over-year price gains persist in the Twin Cities metro, back-to-back quarterly declines in rates and prices continue to improve affordability. After salary increases in the first three quarters of 2014, the Dallas metro continues on a path of increased affordability thanks to a moderate median-price increase and a rate decline of nearly one-quarter percent. Home prices continue to trend downward in the Philadelphia metro. While this trend is coming at the expense of home sellers, buyers are certainly rejoicing over the increased levels of affordability. The required salary to purchase a home in the City of Brotherly Love fell by $2,138 during the first quarter, the fourth-largest decline on our list. 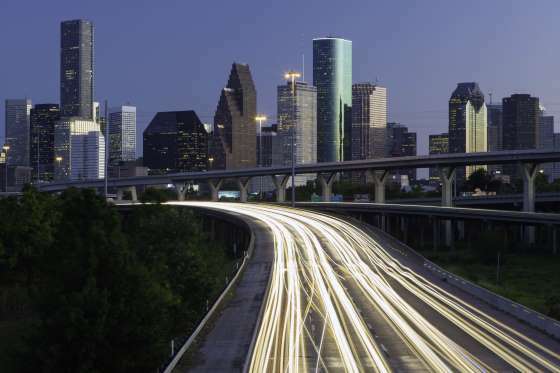 The Houston metro swapped places with the Philly metro for the first quarter, further extending the title of the most expensive Texas metro on our list. Affordability conditions are eroding a bit in the Houston area as home prices continue to rise. The price and salary declines look very similar in the Charm City metro in the first quarter of 2015 as they did in the fourth quarter of 2014, just to a lesser extent. Home prices, both quarterly and YOY, continued to weaken as did the required salary. Last time the required salary in the Baltimore metro fell by over $4,000; this time was about half that. Chicago’s home prices have leveled off a bit. The quarterly decline in the Chicago metro went from 12.04 percent in the fourth quarter to just 1.33 percent during the first quarter. The end result is still the same: a lower required salary to afford a home in the Windy City metro. With the highest mortgage rate on our list, and with both quarterly and yearly price gains, it’s little wonder that Sacramento’s affordability decreased slightly in the first quarter. What’s interesting about the Sacramento metro is that the yearly price gains are almost exactly the same as they were in the previous quarter, and the quarterly price increase in the fourth quarter cancels out the quarterly decline in the fourth quarter. That’s why affordability has been so consistent in the River City metro. Portland moved up one spot on our list this time around as meager price growth and interest rate declines made the metro area more affordable. A borrower could have earned $1,175 less in the first quarter and still been able to afford the median-priced home in the Portland area. While Miami’s YOY price growth remains moderate, the metro area broke out of its quarterly pattern of price declines. Despite falling mortgage rates during the first three months of 2015, affordability declined as the required salary increased by nearly $1,500. Substantial price gains in the Denver metro area sent the required salary higher by nearly $3,000 in the first quarter. Higher home prices are a result of inadequate inventory in relation to strong buyer demand. A 20-basis-point decline in mortgage rates kept the salary figure from rising even higher. Home prices have been pretty stable in the Seattle metro area since the second quarter of 2014. Flat home prices and falling rates continued to reduce the amount of salary a Seattle-area homebuyer needs to afford a median-priced home. Once again, mortgage rates in the D.C. metro area are amongst the lowest on our list. A modest quarterly decline in prices was enough to send the required salary lower by nearly $1,500 in the first quarter of 2015. Home prices have been falling in the nation’s capitol since the second quarter of 2014. The Boston and D.C. metro areas continue to be closely aligned in terms of affordability conditions: the mortgage rate, quarterly home price and required-salary declines are very similar. However, you will need to earn about $1,200 more a year to afford the median-priced home in the Boston metro versus D.C. The affordability battle between the Los Angeles and New York City metros continues, and in the first quarter LA edged NYC by a nose. Home prices have been steadily falling in the LA metro since the third quarter of 2014. Quarterly rate and price declines shaved over $4,500 off the required salary to afford a median-priced home in the Los Angeles metro. The New York metro had the largest quarterly-mortgage-rate decline on our list at 0.32 percent, but the minute increase in quarterly prices didn’t affect the required salary as much as it did in the LA metro. You may be thinking, how can the NY metro be less affordable than LA when the Big Apple home price is so much lower. The answer is the taxes and insurance costs are a lot higher in the New York metro area. Affordability eroded in the San Diego metro area during the first quarter as home-gains outstripped the mortgage-rate decline of 0.20 percent. Is San Diego finally making a run at San Francisco as the least-affordable metro on our list? Despite the salary increase, it’s still not even close. San Francisco remains the king of inaffordability. The first-quarter rate decline of 0.14 percent was the smallest drop on our entire list. However, that subtle rate decline and relatively stable home prices was enough to lower the required salary by $1,342. Yet, when you need to earn $141,417 to simply purchase the median-priced home, does $1,400 really matter one way or the other? To compile these results, HSH.com calculated the annual before-tax income required to cover the mortgage’s principal, interest, tax and insurance payment. We used standard 28 percent “front-end” debt ratios and a 20 percent down payment subtracted from the median-home-price data to arrive at our figures. Loans with less than a 20 percent down payment will incur mortgage insurance, which would in turn increase the required salary. We utilized the NAR’s 2015 first-quarter data for median home prices and our 2015 first-quarter average interest rate for a 30-year, fixed-rate mortgage to determine how much money homebuyers in 27 major metro areas would need to earn in order to purchase the median-priced home in their market. The average mortgage rate information we used was for purchase-money mortgages made to borrowers with good to excellent credit. We created metropolitan-area average property tax information using data made available from the Tax Foundation, a non-partisan research think tank, based in Washington, D.C.
We used statewide average homeowner insurance premium costs from the Insurance Information Institute, whose mission is to improve public understanding of insurance. Note: Property taxes and insurance costs are specific to an individual property itself and will be different for any single property in which you may have an interest. Also, if other personal debts exceed 8 percent of one’s given monthly gross income, this will increase the salary needed to qualify. Data for the Pittsburgh metro area was provided by RealSTATs, a locally owned and operated real estate information company. Home-price data for Detroit was provided by Realcomp II Ltd., Michigan’s largest Multiple Listing Service.